Spring Cleaning and Renovations are Right Around the Corner! The weather is slowly warming up and the days are growing longer. For many homeowners, those first few signs of spring bring thoughts of home improvement. 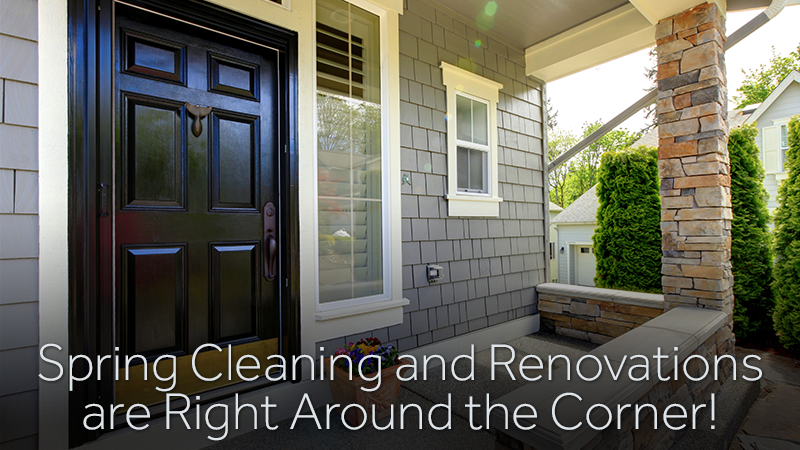 From a deep clean to a remodel project, spring inspires change and a sense of renewal. The following are some common renovation projects, as well as tips on how to save money while making your home brighter and refreshed. Your front door and entryway is the first impression that guests will have when visiting your home. Spring is a great time to consider a new front door, especially in older homes where the door is beginning to show signs of wear. A new door can be expensive, so the first step is to determine if the existing door can be salvaged with new hinges, weatherstripping or even being taken down and sanded before a new coat of paint is applied. Replacing old or dated hardware can also make the front door feel new. Some homeowners want to bring more fresh air into their homes, and there are a number of screen door options available to suit every style and budget. Painting and decluttering the foyer or entryway is also an excellent way to bring a sense of freshness to the space. Making the switch from carpet to hardwoods is a top priority for many homeowners. Hardwoods are easier to clean, they do not harbor bacteria and mold spores at the same level as carpet and they also improve the appearance of most rooms. Hardwood flooring can be expensive, though, which is why this is a home improvement that often is delayed from one year to the next. 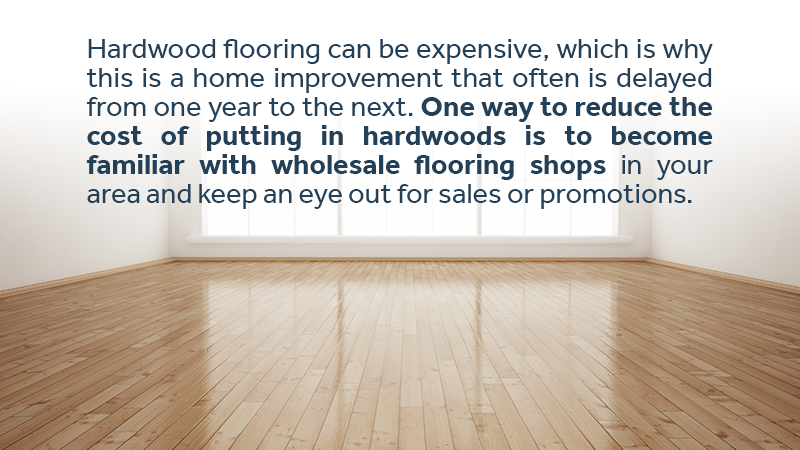 One way to reduce the cost of putting in hardwoods is to become familiar with wholesale flooring shops in your area and keep an eye out for sales or promotions. In some cases, homeowners can save a bundle by purchasing the last of a company&apos;s inventory of certain hardwood flooring before a new style or finish is stocked. No home improvement project is better suited for spring than landscaping. Warmer weather and the gradual greening up of the neighborhood inspires many to get outside, roll up their sleeves and improve their existing landscaping. This is also a project where it is relatively easy to achieve savings. Nurseries and big box stores often run spring sales on various landscaping supplies and watching for these offers is a great way to save money. Consider planting perennials to save money year after year, as opposed to putting in annuals that will need to be replaced from one year to the next. One of the most cost-effective ways to gain maximum visual appeal is to declutter your rooms. Over time, homeowners accumulate items that serve little purpose other than taking up space. Go room to room, giving your belongings a critical eye and gathering things to sell, donate or put into storage. The result will be a more open and inviting space. At Zippy Shell Houston, we offer many different storage options to help homeowners make the most of their living space while keeping their belongings safe and secure. Contact us today to learn more, or with any questions or concerns. Be sure to ask about our current promotions that can save you $20-$50 a month!